AnchorCert Analytical can help you with all your research and consultancy needs. 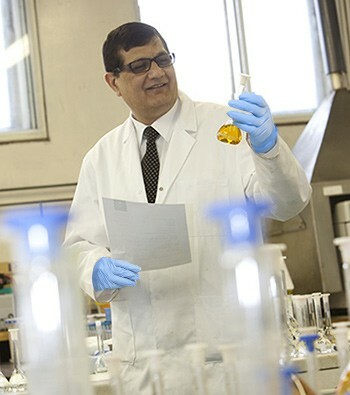 Dippal Manchanda (pictured below), Chief Assayer & Technical Director at AnchorCert Analytical carries out research and consultancy on a regular basis, his job includes working on both non-statutory technical projects and day-to-day assay management. He holds a Masters degree (MSc) in Inorganic Chemistry and has over 20 years experience in assaying and the examination of precious metals and alloys. He is also a Member of the Royal Society of Chemistry, a Chartered Chemist and Chartered Scientist. Since completing his Masters Degree, Dippal has spent his entire career in the field of precious metals and has been involved in several projects including setting up a state of the art gold/silver medallion manufacturing facility for a public sector undertaking in India. In his role as Technical Director, he is responsible for setting up, managing and maintaining high analytical standards throughout Anchorcert Analytical. He also provides scientific and technical support on a day-to-day basis to both statutory and non-statutory parts of the business. He had undertaken major research in cooperation with Cooksons Precious Metals which has resulted in the defining of a numerical grading system for colour measurement and grading of white gold alloys. His most recent project has been the development of a new portfolio of tests which assess the susceptibility of items to tarnishing. The AnchorCert Analytical team has a wide range of skills and expertise and is well placed to provide training, consultancy or conduct research projects on a variety of subjects. 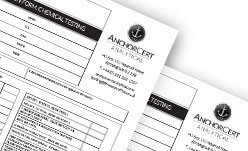 AnchorCert Analytical has for example extensive experience of analysing very low grade samples to determine minute quantities of platinum or gold. Expansion into consumer product safety has relied heavily upon intensive in house research and our AnchorCert chemists have an unrivalled understanding of nickel release and the many factors that influence it. Competence levels in the analysis of other restricted substances such as cadmium, lead, cobalt and chromium are also exceptionally high. AnchorCert Analytical experts have a good understanding of not only EU legislation and approved testing methods but also those which apply in Canada and the USA, and the specific California legislation. Training on fire assay, analysis by X Ray Fluorescence, touch acid testing and other analyses applied to precious metal is available, carrying with it the authority of AnchorCert’s independence and integrity. All toys sold in the UK must meet the standards set out in the EN71 toys safety directive, in short, toys must be safe to use and fit for purpose. Anyone selling or distributing toys in the EU is responsible for ensuring this is the case. 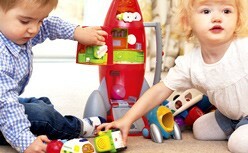 British Standard EN 71 comprises 13 sections which regulate the Safety of Toys.